When it comes to Toronto area real estate, there’s no one better to turn to than Mitch Lougheed Real Estate. Mitch can be described as a passionate and high-energy leader, motivated by his life-long interest in real estate and sales. As a result of his background in Architecture, and experience living in various areas of Toronto, Mitch is able to provide both his personal and professional opinion when it comes to the unique neighbourhoods within Toronto. He has a high level of integrity, and a very level headed approach to dealing with adversity. His primary focus is in luxury residential condos and homes. Mitch loves working with clients and helping them find the perfect investment opportunity in any property, allowing them turn an ordinary purchase into something extraordinary and makes it a point to be involved and stay involved throughout all stages of the real estate process. Mitch spends most of his free time where he works and lives, in Yorkville, and also enjoys exploring King and Queen Street West. 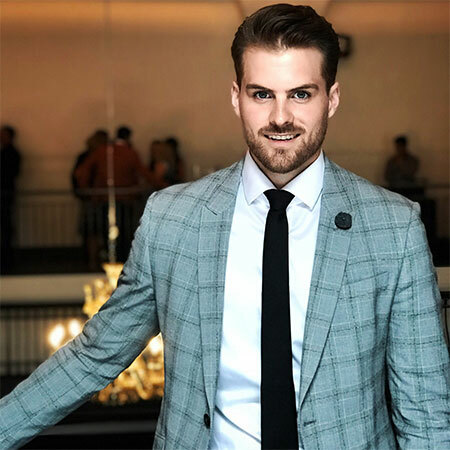 He is extremely passionate about fitness and nutrition, and enjoys working with people and participating in competitive sports including hockey and golf. When he’s not involved in sports, Mitch loves cooking and playing guitar.